A Headzup classic, Up In Smoke is a cabaret show that forms part of schools’ targeted approach to smoking that delivers a serious message directly to young people in a fun, accessible and educational way. 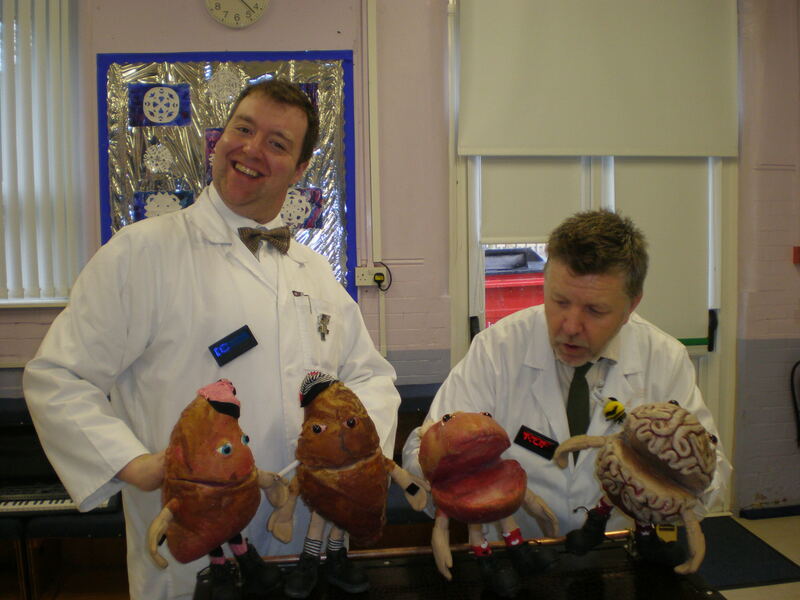 Centred around a small and curious laboratory, two boffins, Professors Sid and Eric, investigate and explore the perils of cigarettes. They bicker, banter, analyse and experiment as they desperately try to understand this rather baffling and dangerous habit. Chaos, comedy and cabaret are combined to deter young people from taking up smoking. For more information and booking details click the contact page.